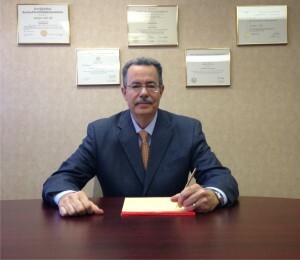 Profile | Joseph L. Gil CPA, P.C. We are your trusted partner in success. Our firm is large enough to offer a full range of professional services at a fair price, yet able to give you the individual attention that you deserve. Joseph Gil is a Certified Public Accountant who has been practicing since 1981, specializing in corporate, partnership, individual, estate and trust tax preparation and planning. Other areas of expertise are audits, reviews and compilations of financial statements, accounting acquisitions and mergers. In addition, he oversees business financing, business planning, business valuations, operational management and individual financial planning. He received his Master of Science Degree in Taxation from Long Island University after receiving his Bachelor of Science Degree in Accounting from New York Institute of Technology. After eight years with Price Waterhouse and Grant Thornton, Joseph decided it was time to establish his own firm. In addition to maintaining his own accounting practice, Joseph Gil is a member of the American Institute of Certified Public Accountants and the New York State Society of Certified Public Accountants. He can be contacted at 516-767-2760 or jgil@jgilcpa.com. Joseph L. Gil, C.P.A., P.C., is an accounting firm located on Long Island in Port Washington, New York, providing traditional accounting and tax services as well as other services which are not traditional for the local firm. Historically, our business has been with national accounting firms. Therefore, there is a sense of and experience with, a variety of issues that run the gamut from publicly held companies to smaller private concerns. This molds the way for us to approach each client engagement as a business owner himself. As for traditional services, we provide core accounting and tax services that are fundamental and critical to the well-being of any business. We provide these services in client environments where internal support staff exists, as well as where there is no internal support for the accounting function. As for other services, we provide a variety of services which are typically inherent in regional or national accounting and consulting firms. Because of experience, we understand that closely held businesses are not immune to issues and transactions that are more common to larger businesses. Therefore, we are adequately prepared to service clients falling into this category, as well as assisting non-clients when issues or problems fall beyond the scope of their accountant or financial advisor. Our clientele over the years has predominantly consisted of closely held to middle market companies in such industries as real estate, construction, manufacturing, distribution, non-profit organizations, governmental, publishing, retail, healthcare and professional service firms. Areas of specialization include corporate, partnership, individual, estate and trust tax preparation and planning. In addition, we perform audits, reviews and compilations of financial statements. We also consult on accounting acquisitions and mergers, business financing, business planning, business valuations, operational management and individual financial planning.